One of the reasons you fell in love with your waterfront property is…well, the fact that it is a waterfront property. And you are not alone. Countless homeowners in Annapolis, Maryland purchased their homes for the very same reason. They love nothing more than looking out their window at the beautiful scenery or, better yet, lounging on their deck while taking in the sights and sounds, watching the sailboats glide across the water. The only problem: those deck railings get in the way. While the body of your deck is constructed the same way you are used to, using the same high-quality wood or composite materials, the railings are a bit different. 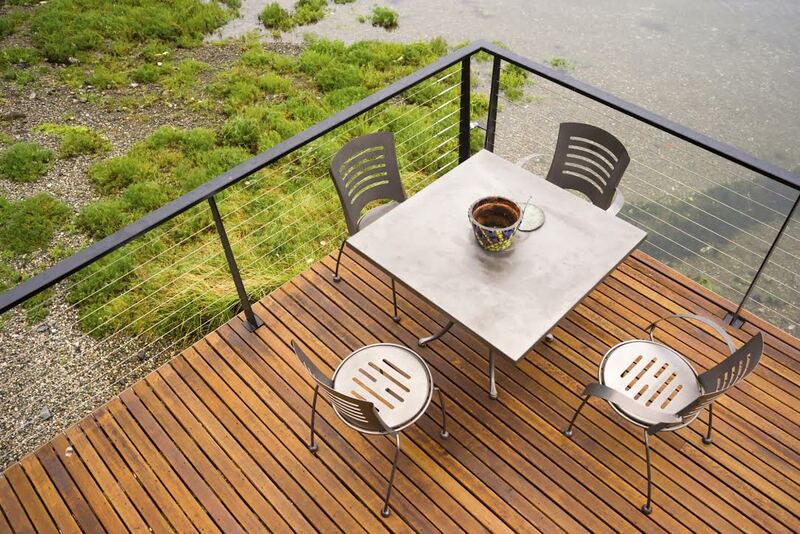 Instead of bulky railings that block your picturesque view, waterfront decking combines long lasting aluminum alloy posts with tempered glass panels, stainless steel cable, or aluminum pickets. The end result is a beautiful deck that will allow you to enjoy the sights and sounds of Annapolis. These railing systems are incredibly low maintenance. The occasional cleaning is all you will need to keep your railings clean and clear. If you live near salt water, these railing systems will stand up to salt without corroding. These railing systems are aesthetically pleasing, adding instant curb appeal to your waterfront property, while also boosting your home value. Ca-ching! With 40 years of experience, Freedom Fence and Home has provided the highest quality fence and decking services to its many residential and commercial clients throughout Maryland. Our crews are highly trained and ready to help. Freedom Fence and home has successfully completed hundreds of waterfront decking jobs throughout Annapolis and the surrounding area. Out waterfront decking options are perfect for new construction, retrofits, or remodels. If you have any questions about Waterfront Decking in Annapolis, please contact Freedom Fence and Home by calling 443-271-6841 or visit our website. You can also follow us on Facebook and Twitter! This entry was posted on Wednesday, November 26th, 2014	at 3:50 pm	. Both comments and pings are currently closed.